doesn’t have to be stressful. Please click on video to watch. David Gaynes, CPF® is passionate about three things: family, fun, and helping people. David’s goal is to lead the Gaynes Financial Services team to be a powerful force for good in this world. 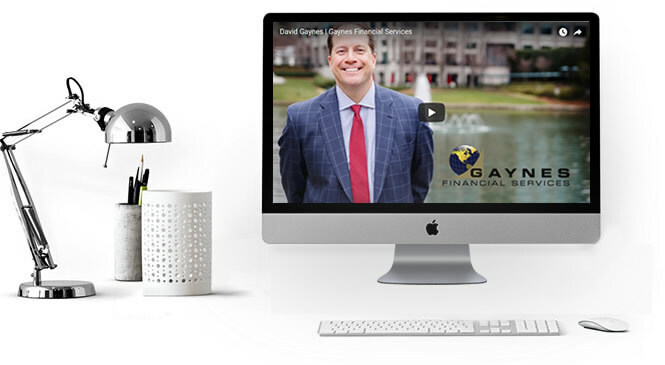 By advising individuals, families, and business owners on their ultimate financial goals and objectives, David also empowers his clients to make an impact in the lives of the people they care about. We offer a full range of financial consulting services specifically tailored to help you grow and manage your business. We provide strategic advice that incorporates a wide array of tactics to position you to best pursue your organization’s financial goals.